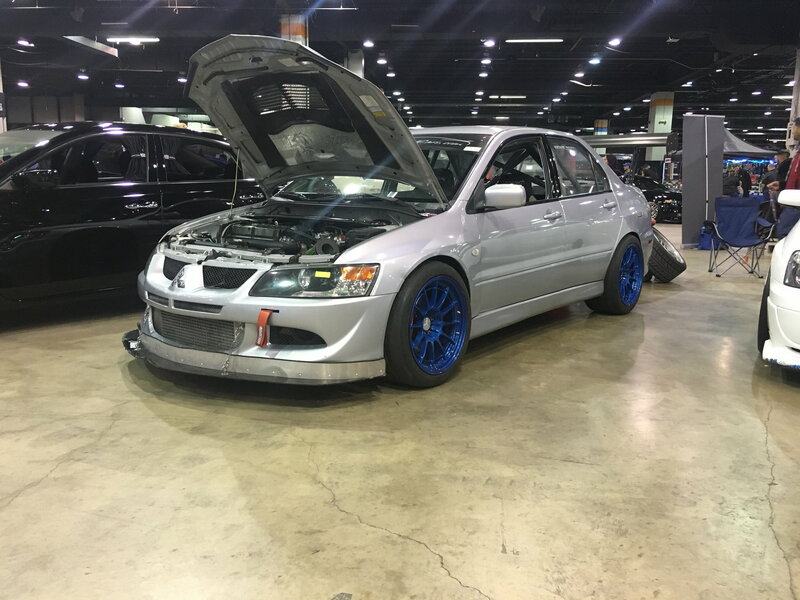 I Can Haz Evo??? | Page 11 | Mazdaspeeds.org, The New Era in Mazdaspeed, CX-7 & Ecoboost Forums! Discussion in 'Cars' started by AYOUSTIN, May 31, 2017. Everything is all back together all that's left is to finish up some wiring, fluids, and an alignment. 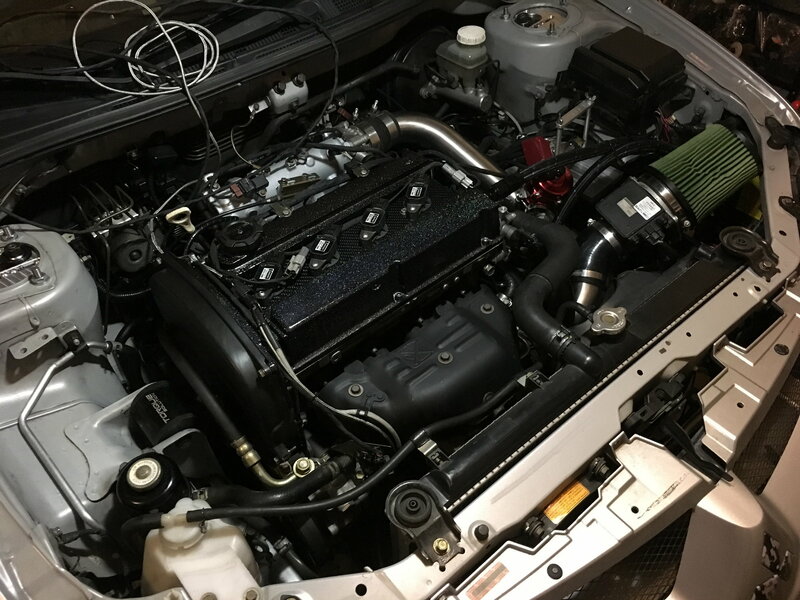 Car should be running tomorrow. 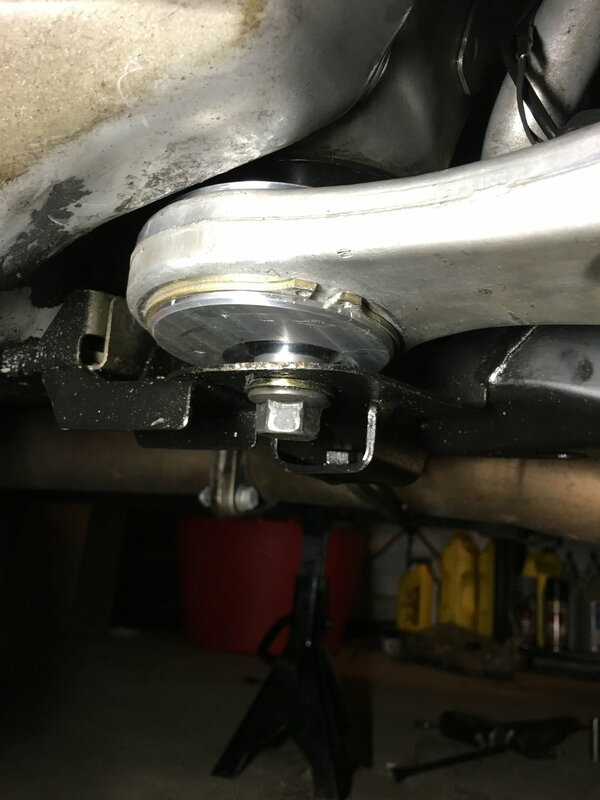 Ken made me some spacers for the LCA rear bushing to push it down. It's still pretty close to the chassis still but I won't know for sure if they're going to contact until I put the car on the ground, there's no contact when I jack up the knuckle but it only goes up about 1.5-2" before the car gets lifted off the stands (unless I really have that little shock travel). Lol I already tried with a 2lb mini sledge, you can see the hammer marks right above it in the second pic. It's at least 3-4 sheets thick and there's no room to get a hammer in there with the subframe in the car. If I have contact issues I'll reduce the travel on my shocks more or wait til I have time to drop the subframe and hammer it more. 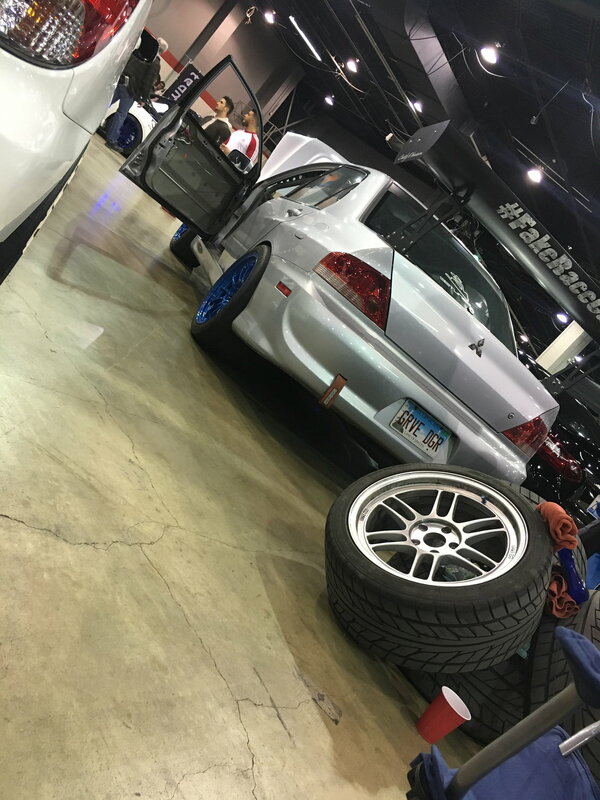 Dont reduce travel on your coilovers, hitting travel stop is not fun and neither are running the coilovers really stiff. Drop the subframe and get a manly Ron Swanson sized hammer. I still have yet to put the car on the ground, it may clear as is, I'll find out later today. 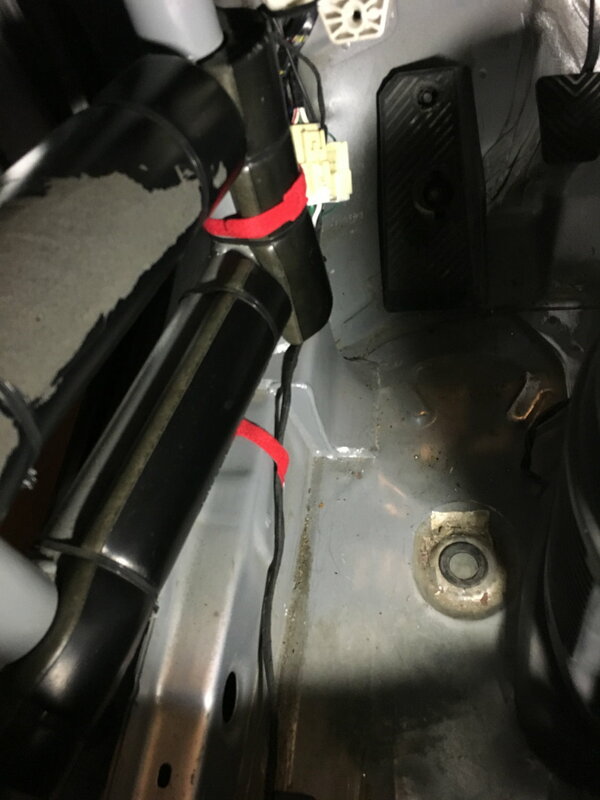 Hammer is definitely the preferred solution for sure, but dropping the subframe to do it isn't exactly a quick job. 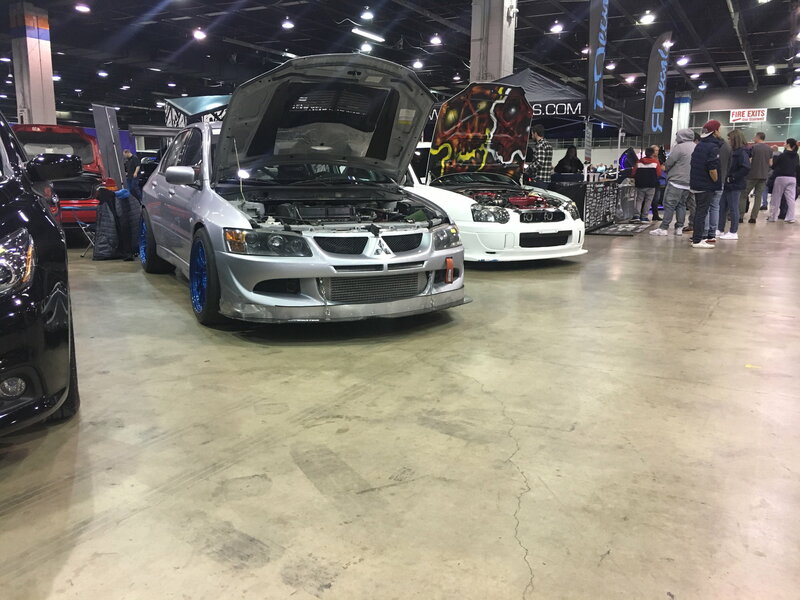 Had the car in tuner galleria this past weekend. I'm not too big on shows but I was lucky to have a lot of friends who went so the time passed pretty quickly. Still haven't gone through the small amount of photos I remembered to take but I've got a couple I took with my phone. After getting the alignment done I'm really happy with how the car is driving now. Steering effort feels just right and the bump steer doesn't seem too bad even with the whiteline tie rod ends. Still going to swap back to OE rods ends at some point. I registered for a few track days earlier today. So far I'll being going to Gingerman 4/14, 4/28, 5/14 and possibly 5/26. I'm also on a wait list for Waterford Hills for 4/21. Anything after May is going to be determined on where I'm working and living so playing the rest of the season by ear once all that is figured out. 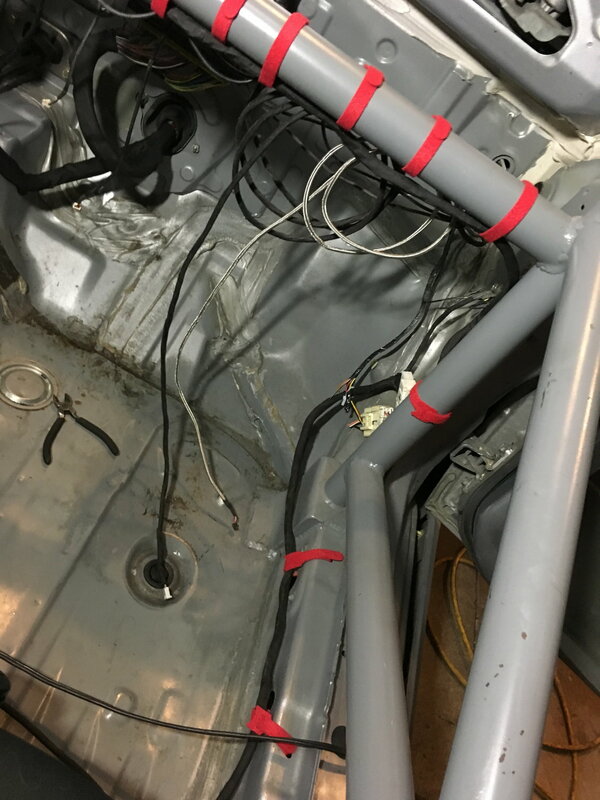 I still have a fair amount of wiring to go through under the dash still but the rest of the wiring in the car is pretty squared away and I should be starting to get the new oil pan fabbed up this week. Besides that stuff the only things left before I'd consider the car track worthy is cleaning up the rest of the suspension, making the new splitter (again), flushing the brake fluid and throwing some new rotors on the front. The grave digger plate made me giggle. 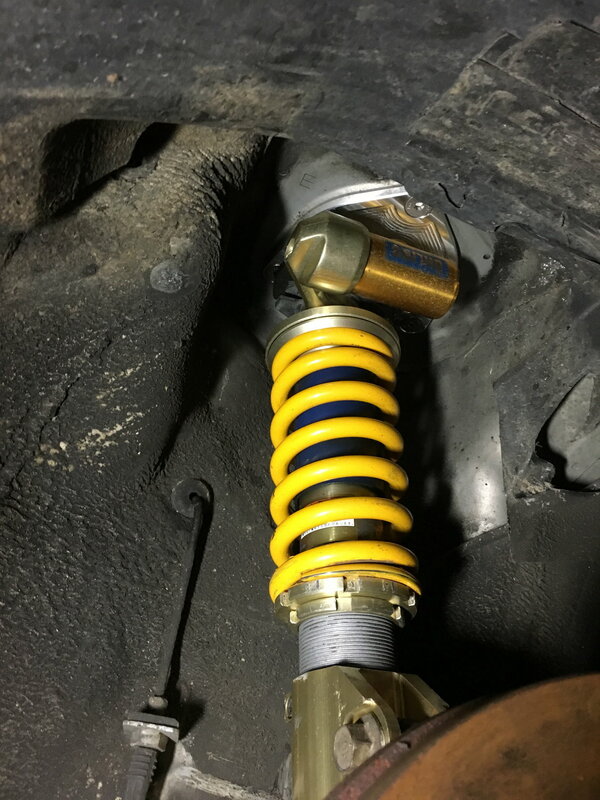 Why switch back to OE tie rods from the whiteline? I wouldn't be so quick to toss the tie rods just yet. What exactly are you experiencing and when? It's just bumpsteer. It's honestly not that bad, I just don't like bumpsteer and it's not fun to deal with when you're hitting curbing on tracks. It's just one of those things I'd rather not experiment with, I know that changing back to OE rod ends will improve it based off experience of others who've been in the same boat I'm in now. 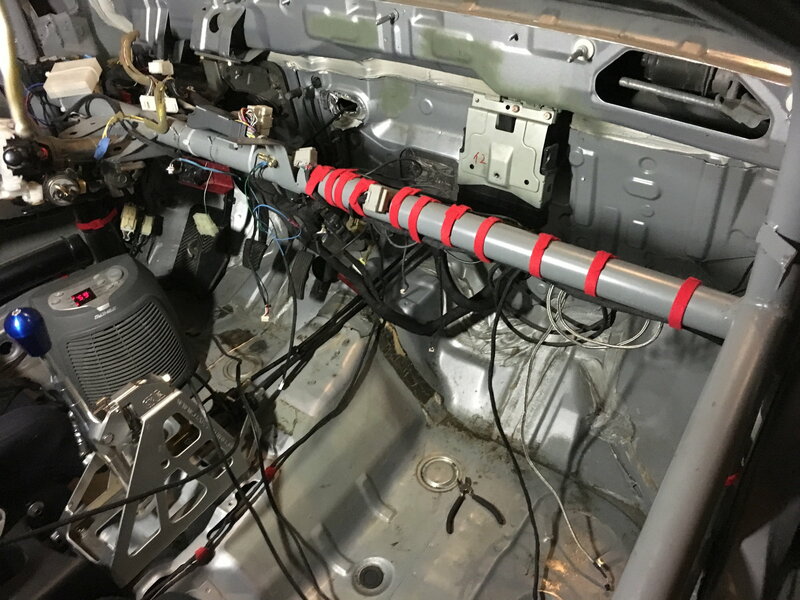 Got a bit more wiring done last weekend. All that's left is stuff underneath the dash. Think I'm close to about 10lbs out now with maybe another pound to go. Really amazes me how much smaller the main harness underneath the dash has become. 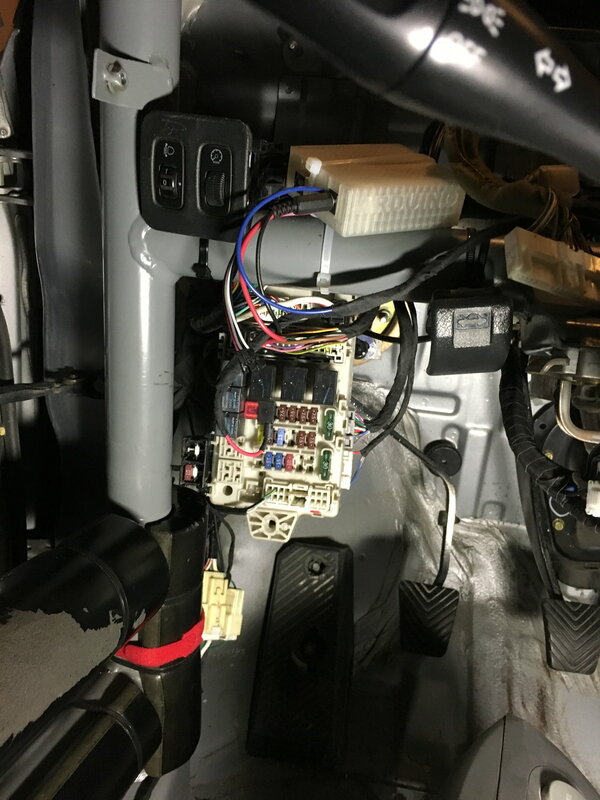 Need to buy a new interior fuse box as the mounting clip is busted pretty good on mine. Hoping to finish the wiring this weekend/early next week. 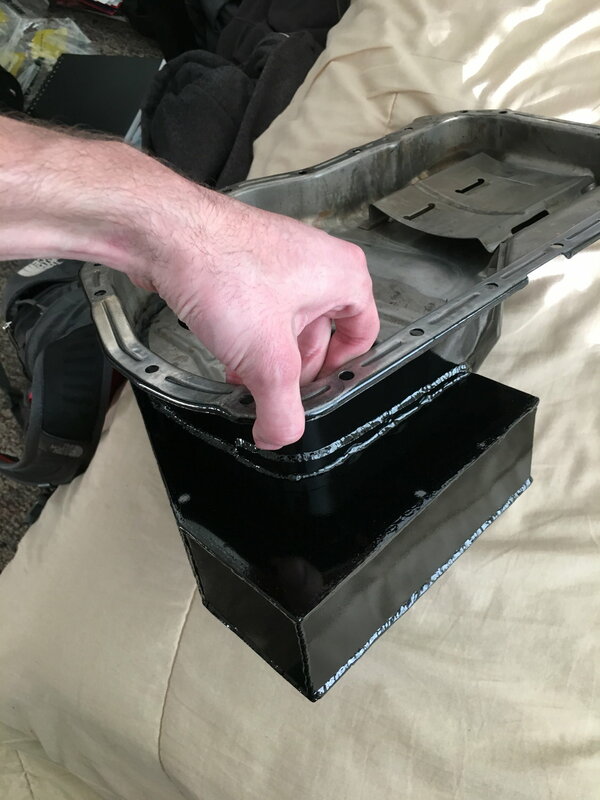 Also started on the new oil pan. Got the factory one all chopped up and the new sump tacked together earlier this week. The plan is to retain the baffle plate as well as the factory baffle that controls fore/aft oil movement in the sump. From there I'm going to add a piece with two trap doors in it to control lateral oil movement around the pickup. Hoping to have the welding done next week or the week after and then powedercoat it and slap it on the car. 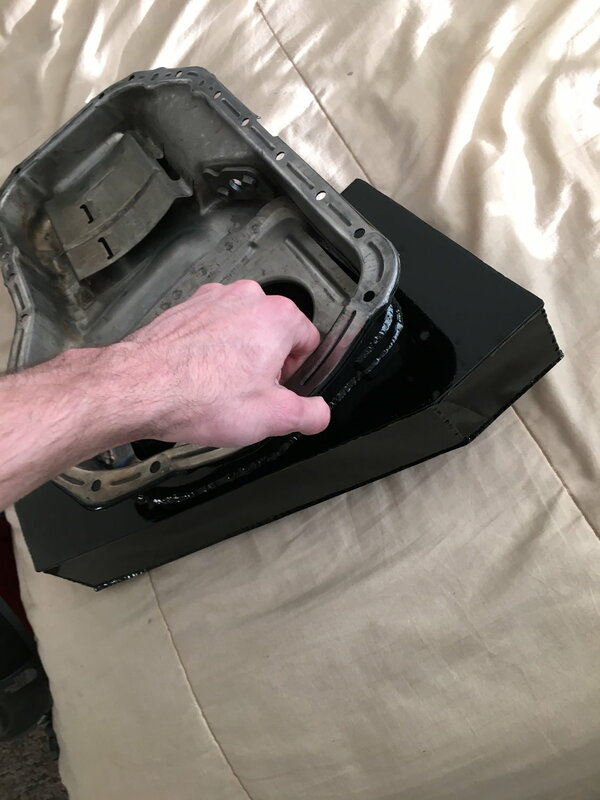 My biggest concern right now is getting the factory pan to fit up nicely to the new sump. I chopped it a tad too high so fitment is going to be interesting. 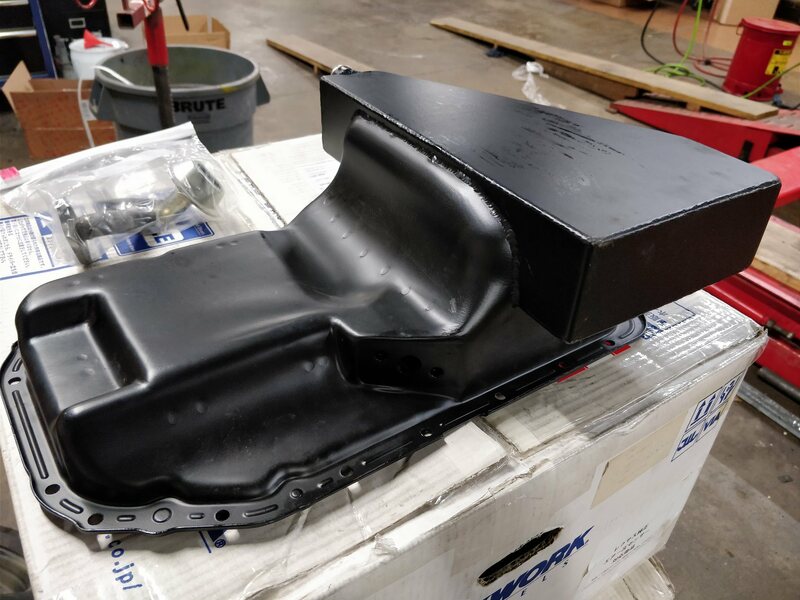 Are you making an oil pan out of plain steel, or is that just a concept for fitment and whatnot? 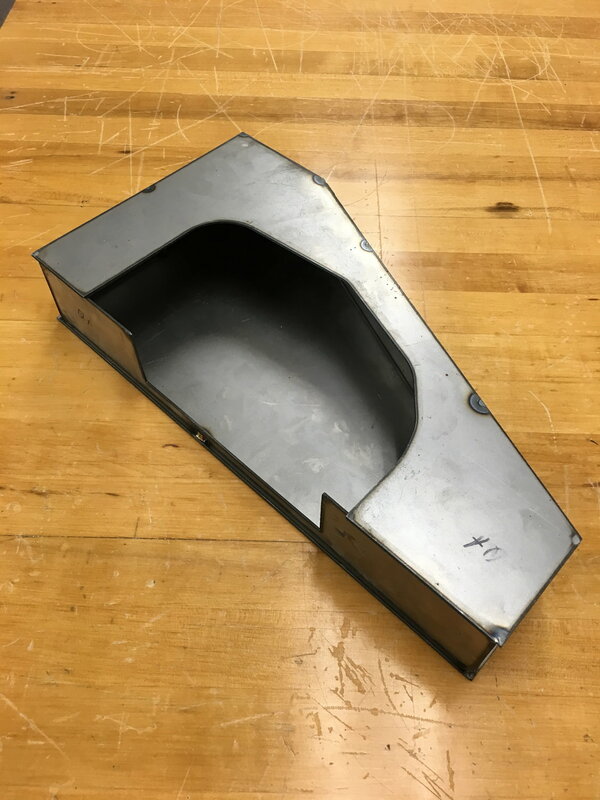 The factory pan is mild steel sheetmetal. 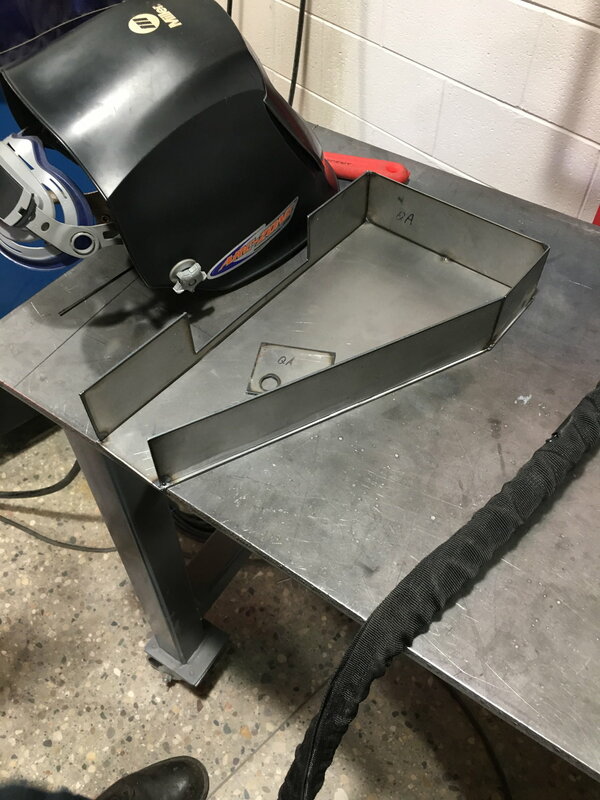 This is the final piece that will get welded onto the factory piece. I'll post more pics as progress is made and it'll be more clear then. And the results are in! 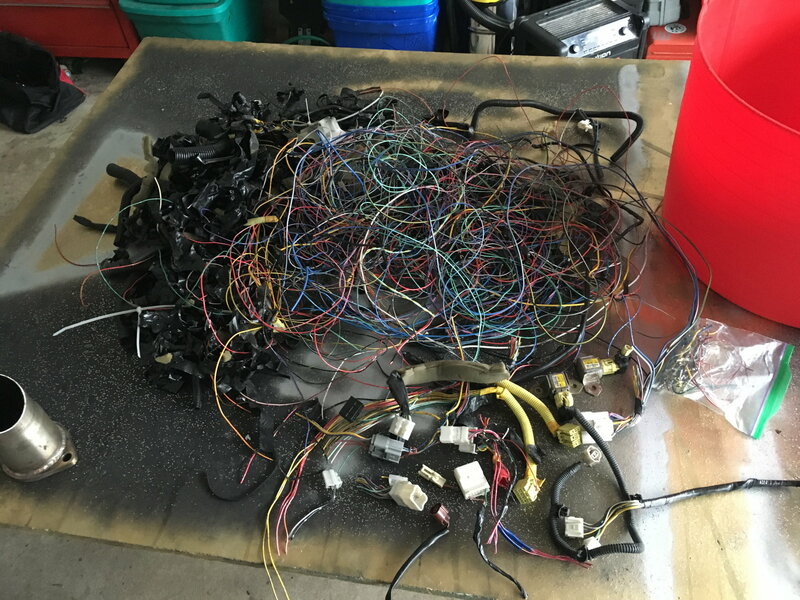 10.5 pounds of wires and connectors, and there's now 22 less connectors in the car! I think if I'd started with a car that had all the wiring in it (doors, roof, etc) that it would be 13-14 lbs total. Hoping to get it on a scale this week to see where weight is at. 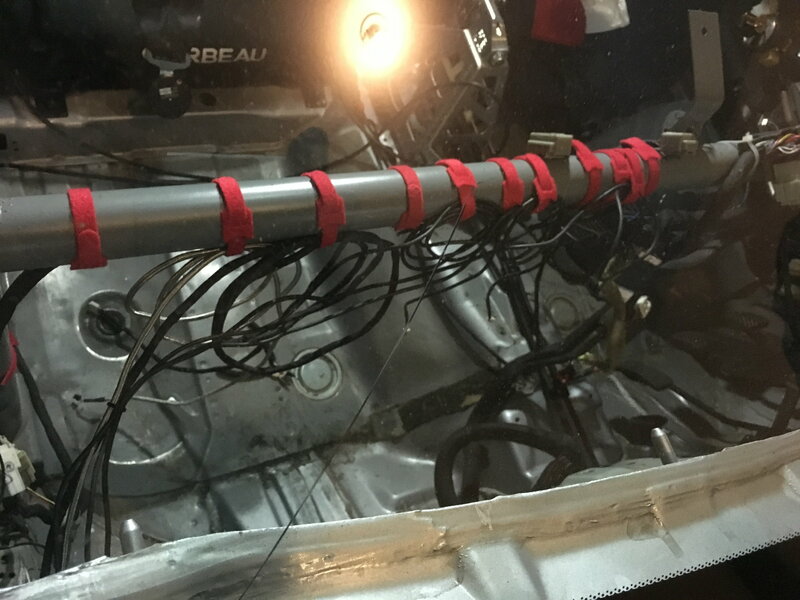 Finished up the wiring last night. Probably looks like a mess to most people still but it's sooo much better than it was before. 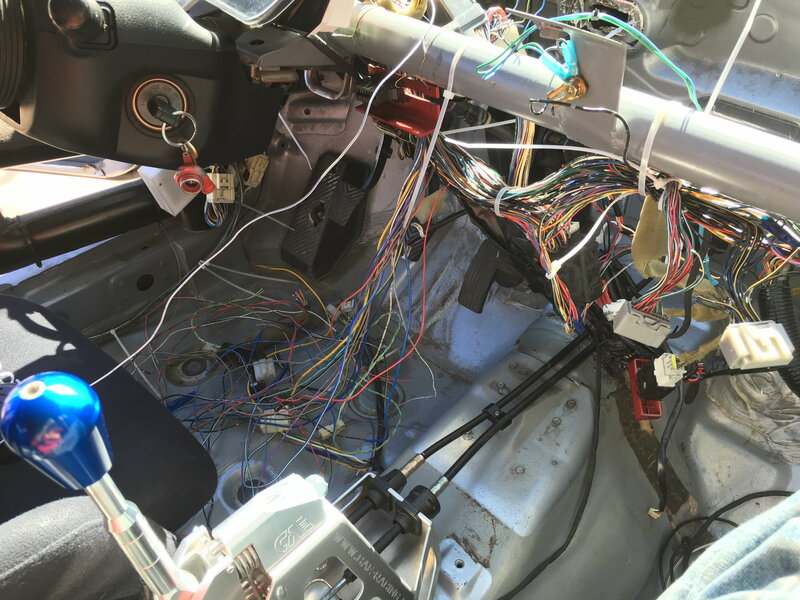 Most of the mess is from the wiring for the Defi gauges which I'd still like to clean up a bit better. But overall I'm very happy with how today went. Learning a new track in the wet was certainly interesting and I had a hell of a time keeping the car from understeering, no scary moments though which was nice, probably because I was being overly generous with extending my braking zones. But once things dried out it was like I was driving a different car. The car went where I pointed it pretty much always unless I made a mistake and went off the line or overcooked a corner. Got up to 125mph between 10 and 11 (the longest straight, just a bit of 950' long) which I'm happy with considering I was using the 93 tune with a turn and a half pulled out of the boost controller. Almost time for new brakes, pads have maybe 25% left (I started around 35% ish) and the rotors are a bit blue now, no cracks though upon quick inspection. Also I was using my street tires (Nitto NT555) because they have tread so I'm curious to see how things change when I go back on my slicks. I still haven't finished my oil pan yet so I've been running the car with some extra oil, zero issues with losing pressure, but the real test will be when I go back on a warmer day with slicks. 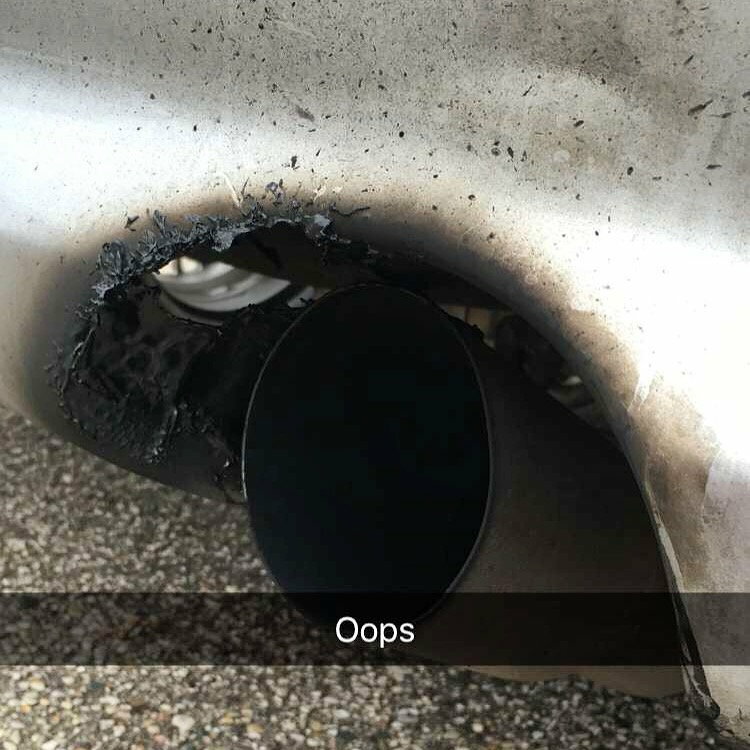 I did have one small mishap which I'm still trying to figure out. On my second session I lost a bit of coolant (rad was still full but the overflow was empty) and a fair bit was sprayed on the driver's side of my engine bay but I couldn't find any leaks anywhere after a few minutes of poking around. Topped it back off with water and it was fine for the rest of the day, no sprayed coolant anywhere, no loss of coolant, no overheating. 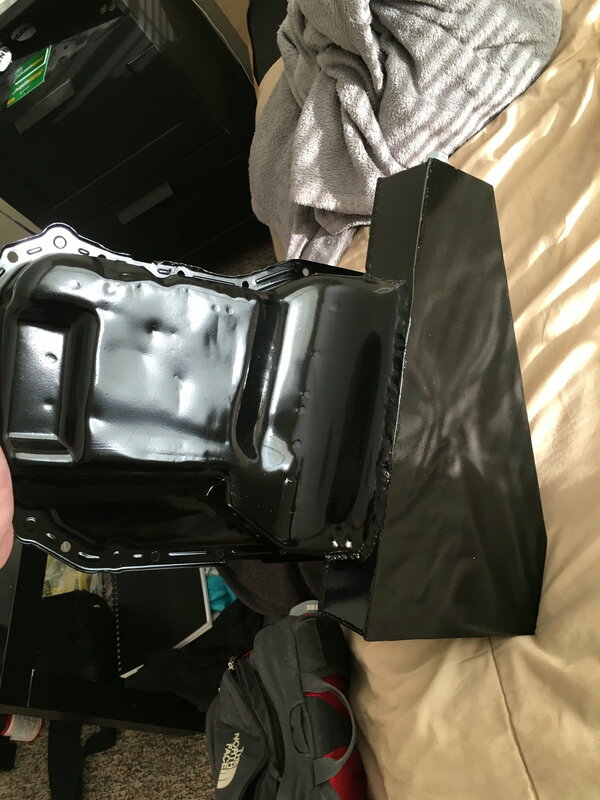 Got the new oil pan finished yesterday. Had a friend weld it up, tested it with dye penetrate, double checked for leaks with water, and threw some powder on it. Pretty happy with how it came out. I didn't have time to cut out a pickup surround with trap doors but it still has all of the factory baffling in it. 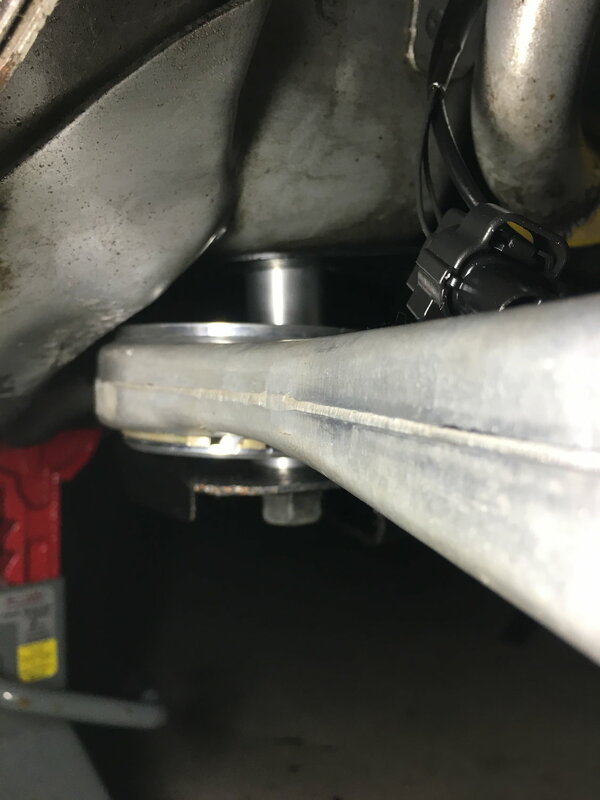 I did lower the bottom of the pan about 1/4" as I think the pickup tube sits a bit too close to the bottom of the factory sump. Should put capacity right around 6qts now. Hopefully it's enough to keep from having any starvation issues. Going back to the track this weekend and the weather is supposed to be pretty nice. I also found my coolant leak, it's a small one coming from one of the coolant lines on the turbo, conveniently facing the entire engine bay. Going to change out the hose which'll make that all kosher again. do you know where the dents in the original part of the pan came from? I was wondering that myself. It was a pan a friend loaned to me that he had laying around.